This pretty and comfortable two bedroom stone cottage is located just 8 miles from the hitorical town of Launceston, with its Norman castle and steam railway. 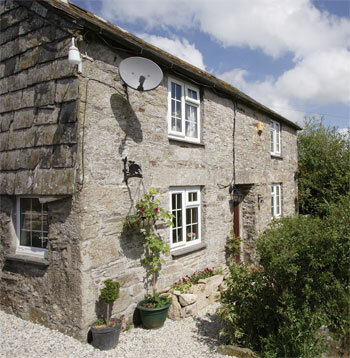 Although surrounded by peaceful countryside, the cottage also has easy access to good roads, making it the ideal location for exploring both the north and south coasts, Bodmin Moor and the Devon border country. The National Trust properties of Cotehele, Lanhydrock and Lydford Gorge are all within an easy drive and the Eden Project is under 30 miles. The Colliford and Siblyback lakes offer water sports and fishing, and golf is found nearby. Alturnun's village shop and pub are about 1 mile. Two bedrooms. 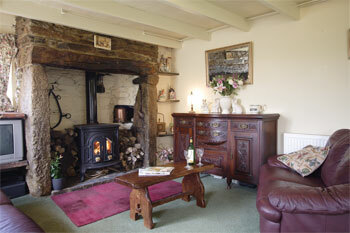 Beamed sitting room with wood burning stove in stone fireplace. Well equipped kitchen with dining area. Bathroom/W.C. (shower over bath). First floor: Double bedroom with 5' bed. Bunk bedded room.